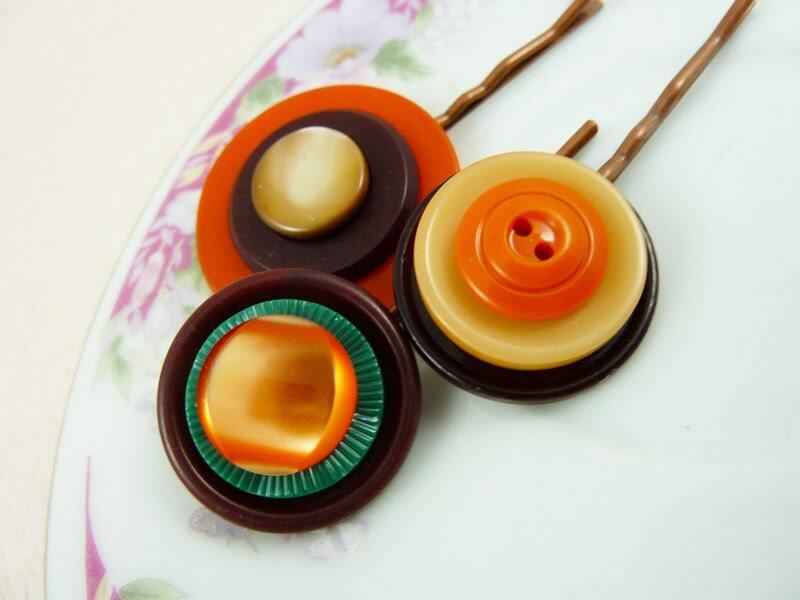 Lovely vintage were in rustic orange, brown, green and yellow were assembled for this Pumpkin Patch button hair pin set. I love the mother of pearl center of the largest adornment!! 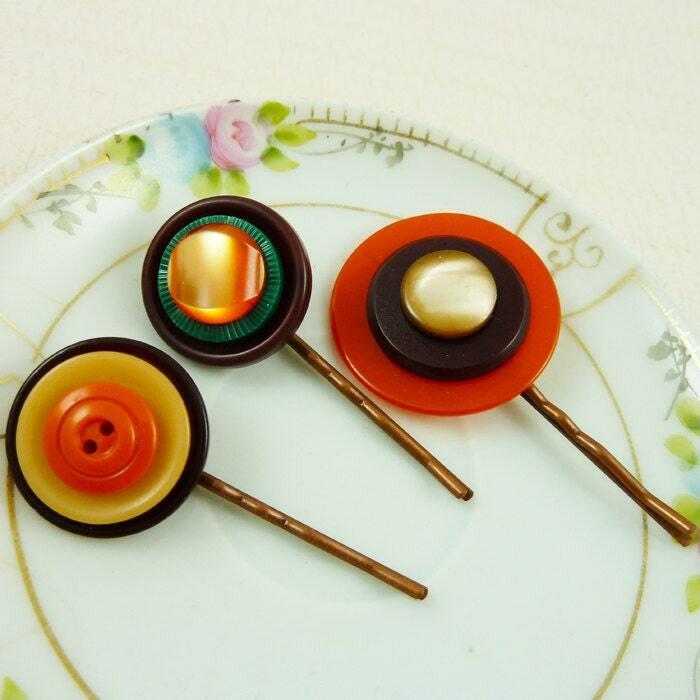 The buttons were securely affixed to one another & then to a 2" (5.1cm) copper tone pin with professional grade jewelry epoxy. 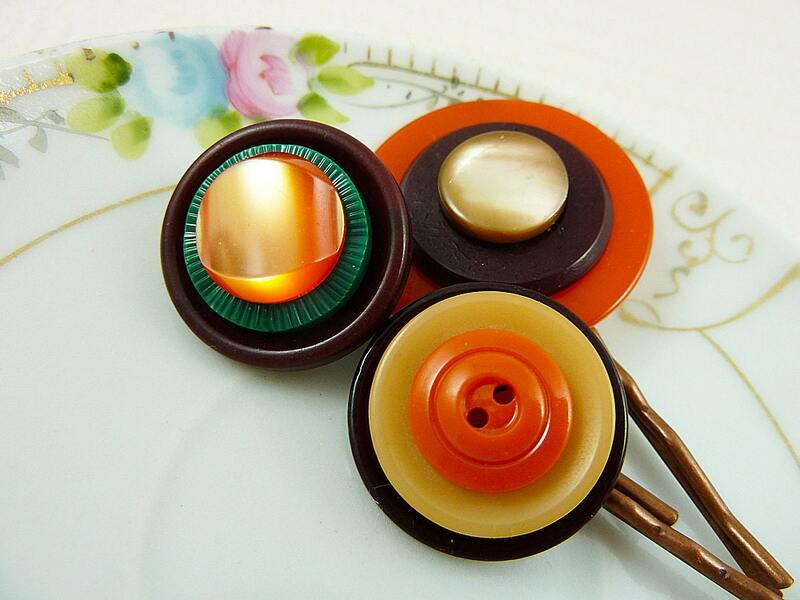 The button adornments measure between 1" (25mm) and 1.5" (38mm) in diameter. You are purchasing the hair pins you see in the pictures.